Wingo pitched a complete game to help Plant City win its first Saladino Tournament title game. 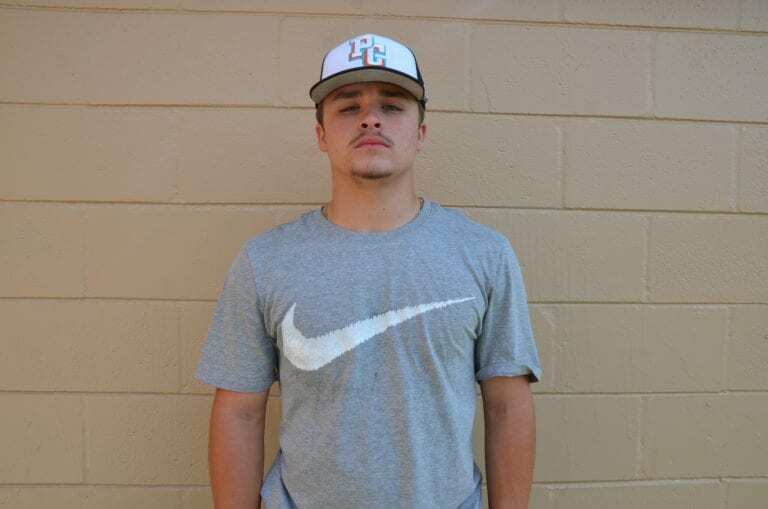 Jarod Wingo is usually the guy Plant City High School calls on to close out a game and get the save, but things were different in the March 23 Saladino Tournament championship game. Wingo was tabbed to start and totally delivered, pitching all seven innings and giving up just one hit and one walk in the Raiders’ 4-1 win over Durant. The junior also struck out 10 batters in the game. Tell me about that title game. It was a good game for me and the team. The team was hitting, I was pitching good. I went 86 (miles per hour) in the first inning and went up to 90, so I feel like I was throwing good in that game. You got two wins in the tournament and had another appearance, also pitched well in the title game. When it was all said and done and you got to look back at it, how did you feel about your performance? I felt like I had a good Saladino Tournament. People know my name now in my junior season. I’m hoping next year, when we do it, we have the same outcome. You’re normally the one closing games. How many times have you been in a situation like this, where you find out you have to start for once? I haven’t started in a while. I couldn’t tell you when the last time I started was. It felt good to hop on the mound, start, throw all seven and be this guy. It feels good. How did you get ready for the game? I just put my headphones in, went straight down to the bullpen, me and Hunter talked about all the signs and I got the word after that. I had to get the jitters out and play two-ball before the game. I had to get loose. I’m not that kind of guy to just, like, zone out. I have to be distracted. I have to be doing stuff with the team. How would you say your performance this season has been? My hitting hasn’t been that great but it’s heating up right now. It’ll be good for the end of the season. I’ll heat up. When you’re on the mound, what do you think you do well? I just compete. I just go up there and I’m not afraid of anything. I’m not afraid to throw the ball. I’m not afraid to hit someone on accident. I just go in there and I sling the ball. USF and UT are both looking at me. Chipola and Polk State are looking at me, also. I’m hoping to go to one of those. I want to stay local. Who do you try to model your game after? My brother (Dalton Wingo), probably. He had a good four years here. He’s playing at UCF. I’m gonna try to compete with him. Which MLB team would you play for if you could? Probably the Yankees or the Boston, one of those big teams. They make a lot of money, man. What’s your proudest moment as a Raider? This year, hitting that bomb against Brooks DeBartolo. What’s the most fun you’ve had with these guys? Activities that we do outside. We went to a shooting range one time. That was really fun for the team. We got together and shot clays. What’s the best thing about playing with this group of guys? Last year we just came out here, played, did our thing. This year, this group has a massive dedication to win. The chemistry is good with this team. What separates this team on the field from the past PCHS teams you’ve played on? Definitely winning Steinbrenner and coming into another tournament, Saladino, and winning. We’ve never done that in the past 30 years, maybe, I have no clue. It’s a big boost for us, big for our confidence.